During this season of Lent, we will be exploring questions about our life’s purpose and how to listen for God in our everyday. 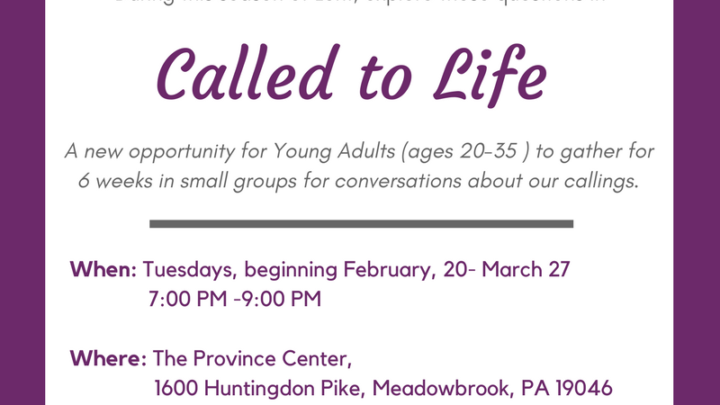 Join us, beginning February 20 at 7pm for a small group opportunity for Young Adults (ages 20-35) to grow in your faith and unpack some of the questions you might have about the meaning of your life and work. More info about “Called to Life” can be found on our facebook page.